On January 25th at the age of 76, my father, John Straub, died. My father’s first job in tennis was at the Slazenger-Dunlop Factory in Toronto. Wooden tennis frames would come from England completely unfinished and he would be in charge of completely finishing the racquets from: balancing; weighting; putting on grips; painting; putting on stickers and stringing. As a child I used to like going in on Saturdays occasionally with him; we would have the whole factory to ourselves and I would help put on stickers. He custom made my first racquet, wooden of course, when I was three years old. His uncle played Davis Cup for Hungary. His father, John Sr, owned a tennis store in Hungary (Straub Sports) for decades. 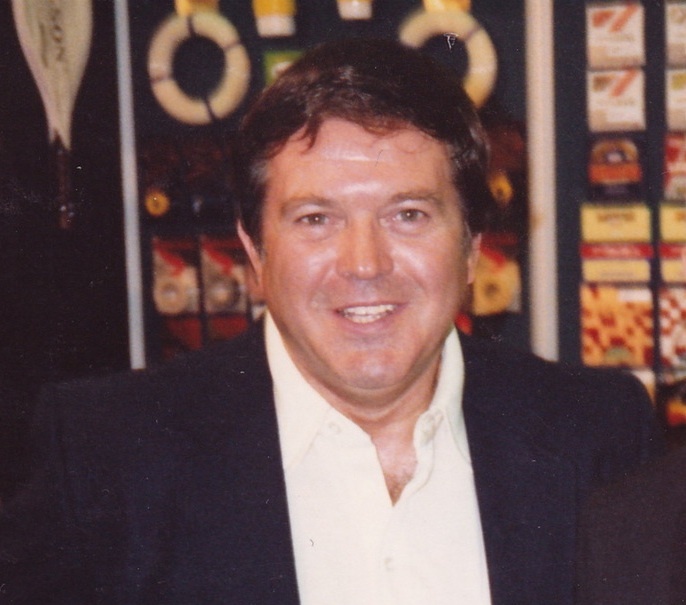 He then came to Canada and opened Straub Sports Toronto, on Yonge Street, in 1970. 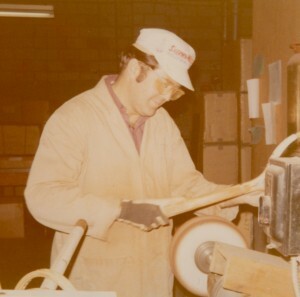 John joined his father’s business shortly after this; he would become known as one of the best stringers in the country. Many people came to or called the store, from all across Canada for his expert advice on racquets and stringing. For a few years he was the sole stringer for all the big tournaments in Toronto, which had all the top players in the world in them. 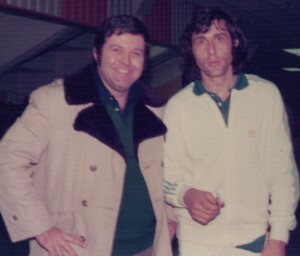 I enjoyed being his assistant as an adolescent because I got to meet a lot of these players including: Jimmy Connors, Ilie Nastase, and John McEnroe. In the early 1970’s he also worked at the Queens’s Club as a hitting partner and did some coaching. Every year he ran a tennis tournament for Hungarian born tennis players, and their children. In the 1970’s he played in Class A tournaments and did very well in men’s doubles. He played most of his tennis at Howard Park Tennis Club in the summer and Cobblestone Courts in the winter, and would end his playing days at Mayfair Lakeshore about 8 years ago, when his heart became too weak to play any more. He had an avid interest in my tennis as a child and that of other juniors. Over the last few years, he enjoyed coming to watch some of my tournaments when he could. John cared very much for his family and really enjoyed being a grandfather. He really appreciated getting calls and visits from the family. At the end, I was fortunate to be with him in the hospital the last day until he stopped breathing. If you knew John, there is a link to an online memorial page on which you can share your thoughts and memories. Feel free to contact me if you have any questions. John Straub’s Obituary and Funeral details can be found by clicking here. John will be well remembered by many of us,our racquets and our stomachs for the great BUNKO tournaments he laboured over for many yrs to continue a very special tradition. May he serve in peace. I just want to mention I am benegnir to blogging and site-building and definitely loved your blog site. Most likely I’m going to bookmark your website . You amazingly have outstanding posts. Thanks for sharing your web-site. hey, i’m starting this tomorrow, so if anyone would like to talk or whatever whilst doing this, i’m always here! follow/contact me there and we can go from there.